Notes: This should be a maximal set. The recommendation is to use approximately 70% of 1RM for this first week. Make sure to hit absolute depth with every rep.
Arya, more than a 3 in my book. 1. Dial in your diet. It used to be (can’t believe I just said that) that WODs weren’t released until the day of the competition, and you truly had to be ready for anything. Now it’s not necessarily like that. 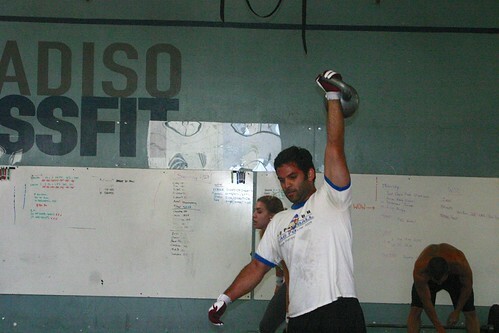 If given the chance, practice the WOD and see how it goes. Almost 100% of the time, you will surprise yourself on Game Day. Finally, have fun with it. Lara told me once, the best way to stay warm and not stress out was to dance before your heat. Many people reading this have their own Pre-Comp rituals. We’d love to hear them.